The Department of Environment does not promote or endorse the burning and incineration of solid waste. This method of waste management should be implemented only after the owner or operator has made all reasonable and determined efforts to implement sound waste management planning and practices. Opportunities to reduce or eliminate the need for burning and incineration through changes in purchasing practices, reuse, recycling, segregation and diversion, and other changes or emission control upgrades that would result in emission reductions, must be reviewed periodically and implemented where practical. Refer to section 3 for additional information on best management practices. This section provides guidance on the application of open burning and incineration of solid waste. In addition to the guidance and direction provided through the Guideline, the burning and incineration of solid waste may also be controlled through permits and licenses issued by Nunavut’s co-management boards, Aboriginal Affairs and Northern Development Canada and other regulatory agencies. These permits and licenses must be complied with at all times. Open burning is the burning of solid waste where limited or no control over the combustion process can be exercised by the operator. For the purposes of the Guideline, open burning includes burning waste that has been piled on the surface of the ground or placed in small open pits, or the use of a burn box, unmodified burn barrel or modified burn barrel. Open burning does not include the destruction of waste using a commercial or manufactured incinerator. The open burning of unsegregated, or mixed, solid waste must not occur under any circumstances. Today’s household, institutional, commercial and industrial garbage contains many materials which, when burned at low temperature, can result in the release of high levels of particulates, acid gases, heavy metals, carbon monoxide, dioxins, furans and other chemicals, some of which may cause cancer. The only solid wastes that may be disposed of through open burning are paper products, paperboard packing, untreated wood waste and natural fiber textiles (i.e. cotton, wool). Refer to section 3.2 for further information on what waste can and cannot be burned. The open burning of solid waste remains a hazardous practice from a fire prevention and environmental management perspective. Open burning on the ground should not take place within a municipality without first obtaining authority to do so from the local community government. 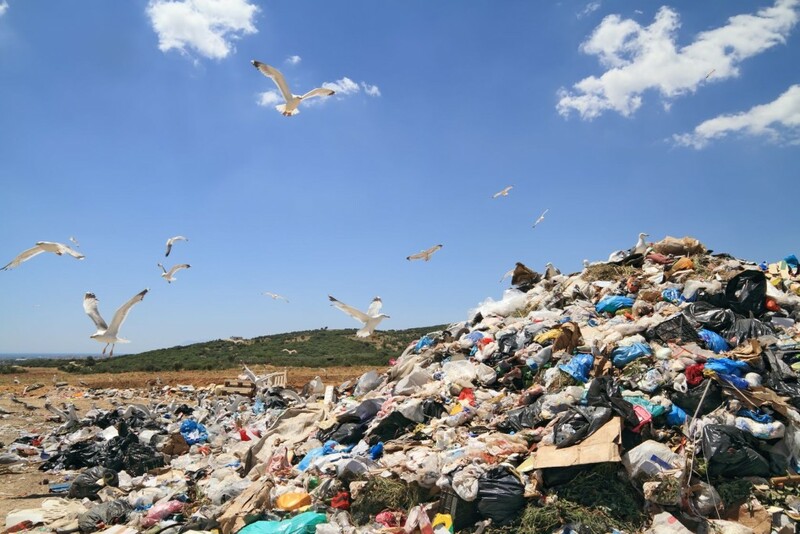 It should never occur at a municipal or industrial landfill because of the proximity of other combustible wastes within the working landfill. Where permission has been obtained and paper, paperboard packing, untreated wood waste and natural fiber textiles are open burned on the ground or in a small open pit, the activity must be attended and carefully monitored by a responsible adult at all times. proper operation includes loading the device with dry waste to about half its capacity before igniting the fire. Additional or wet waste can be added in small batches so as not to dampen the fire once the fire has developed into a good flame and it is safe to do so. Only paper, paperboard packing, untreated wood waste and natural fiber textiles are burned. The waste is burned in a controlled manner and at a site which is separate from combustible vegetation and other materials. Burning takes place only on days when winds are light and blowing away from people. Waste is burned in manageable volumes so the fire does not get out of control. The fire is started, attended and monitored at all times by authorized and qualified personnel. The waste is kept dry or covered to the extent practicable prior to burning. Where applicable, authority is first obtained from the municipality or other regulatory agencies. Modified or unmodified burn barrels should only be used to burn small quantities of paper, paperboard packing, untreated wood waste and natural fiber textiles at remote locations such as traditional camps and field camps. Food and food packaging waste, which make up a significant portion of kitchen garbage produced at these camps, should not be burned. These wastes should be segregated daily and stored in wildlife-proof containers for frequent removal to an approved disposal site. It is important that burn barrels are properly constructed and operated to ensure safety of the operator and the environment. Appendix 2 provides detailed construction drawings for a modified burn barrel. The Department of Environment will consider other designs if they provide an equivalent level of environmental protection. Below are some easy-to-do actions to ensure unmodified and modified burn barrels are operated safely and waste is burned to the greatest extent possible6. Locate the burn barrel in a place predominantly downwind of the camp site or burn only on days when the wind is light and blowing away from the camp. Ensure the burn barrel is located on gravel, rocky outcrop or other area free of combustible materials and vegetation to avoid accidently starting a tundra fire. Ensure the detailed plans provided in Appendix 2 are carefully followed when constructing a modified burn barrel. The ‘exhaust gas to combustion air’ ratio is particularly important to achieving the maximum burn rate. A 2:1 ratio of exhaust stack to air intake area consisting of a 6-inch exhaust port and three 2-inch air intake holes positioned equidistantly around the bottom of the barrel a few inches up from the base is preferred. 6 Testing of a modified burn barrel was performed by Environment Canada’s Air Quality Research Division in April 2011 at the request of Nunavut’s Department of Environment. Ten trial burns were completed prior to emissions testing in order to optimize and standardize barrel design and operational procedures. Following the trial burns, four test runs were performed and air emission samples collected for analysis. Results of the emission testing program will be available from Nunavut’s Department of Environment. This list of recommended practices reflects the operational observations and measurements made during the testing program. Inspect the barrel for any signs of leakage, corrosion or other physical defects before each burn cycle. Any necessary repairs must be completed before the equipment is used. Burn only dry waste. If wet waste must be burned, mix or batch the waste with other waste that has a low moisture content and high heating value (i.e. dry wood). This will help ensure the slow-burning wet waste is completely burned. and glass) will rob the fire of valuable heat and should also be avoided. Food and food packaging, non-combustible and other waste that cannot be burned should be segregated and removed from the site for disposal on a regular basis. Do not overfill or densely pack waste into the burn barrel as air will be prevented from properly mixing with the waste. This will result in a smouldering, low temperature burn and smoke. Layering wet or slow burning waste with dry fast burning waste will help ensure more complete combustion of all waste. The burn barrel should not be used unless a responsible adult is available to monitor and watch over it until the fire has completely cooled. When using a modified burn barrel, the exhaust port on the ‘metal basket insert’ should be aligned between two of the 2-inch air intake holes in order to avoid short-circuiting of the combustion air directly through to the stack. Also, the spark arrest screen should be cleaned following each burn to ensure the stack does not become blocked with soot and other debris. If the barrel lid begins to ‘puff’ during a burn, inspect the screen to ensure it is not obstructing the flow of exhaust gases. Care must be taken by the operator at all times to avoid skin contact with hot surfaces and avoid breathing smoke and other exhaust gases. Written records of open burning should be kept by the operator. These record what was burned, when and how much, how waste was loaded into the device, how the fire was started, its location, weather conditions at the time and any other information that may help remind the operator of what worked well, and what didn’t. These records are to be made available for review upon request by an Inspector. Bottom ash from the open burning of paper, paperboard packing, untreated wood waste and natural fiber textiles is suitable for burial in a designated pit or municipal landfill site. Consent to use a municipal landfill should first be obtained from the local government. Bottom ash must be completely cooled before it can be safely handled and disposed of. Refer to section 3.6 for further information.